The Annual New York State Highway Traffic Safety Symposium is coming up! The Conference will be held at the Conference & Event Center in Niagara Falls, from October 15-18, 2017. L-Tron will be exhibiting at the symposium, showcasing our 4910LR Driver’s License Reader, as well as our OSCR360 Solution. The NY State STOP-DWI Association, Inc. The NY State Highway Traffic Safety Symposium begins with a welcome reception on Sunday evening, along with an orientation training on preventing substance impaired driving. The conference continues on Monday with a breakfast buffet, followed by courses, networking, and an exhibitor showcase and ends Wednesday around 11am. Last year, the Highway Traffic Safety Symposium (also called Stop DWI), was held in Lake Placid, NY. Read about the team’s experience attending the show in 2015 here. Is SIRI the Lethal Weapon? L-Tron is proud to introduce OSCR360 for the capture, preservation and presentation of a fair and accurate crime or crash scene representation. Not a Total Station and not a 3D laser-scanner, OSCR360 is designed for traffic crash reconstructionists and crime scene investigators to capture, preserve, and present ancillary evidence – to improve efficiency and prevent scene contamination. Clear the road quickly after a crash and use the irrefutable evidence photos to support the facts in court. The OSCR360 equipment is made in the US, is cost-effective, and does not require training. OSCR was successfully used in the high-profile Rideout Murder Trial during closing arguments, and was used at the IATAI Reconstruction Conference to document several crash demos. Questions? 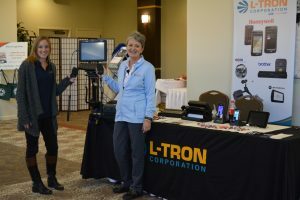 Interested in learning more about L-Tron & OSCR360?